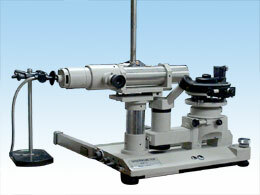 This refraction measures refractive index・Abbe figures (vd, ve) by changing wavelength within the range of 450 - 680 nm. The measured figures and value are shown digitally by way of setting sample to the prism surface and by way of setting boundary line of refraction field to an intersection of cross lines by using a source of light and an interference filter coming with the gauge. 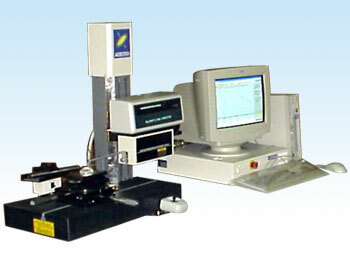 The spectrometer measures refractive indices and Abbe numbers from Gamma rays of mercury(435.83nm)to hydrogen line(656.27nm)by autocolimation method. Metrology is done on the basis of a vertical angle and an angle of refraction of the prism.